Abstract—The study in this article aims to draw scholarly information communication of designers of in-service courses. In Japan, the system of periodical compulsory training for in-service teachers was introduced. These trainings were designed by local universities. Then, the author collected scholarly papers with open source options deployed in Google Scholar, and introduced into social graph analysis by using reference lists in papers. In addition, the author introduced extensive analyses. As result, there is limited relationships among extracted papers. 34.5% of papers reported about specific subject areas, and there was limited cases to report commonly happen events. It was proposed that method of academic communication should be developed to share common interests over the difference of personal academic field. Index Terms—In-service training, open source, scholarly papers, social graph. M. Yoshida is with Graduate School of Social Sciences and Humanities, Chiba University, Chiba, Japan (e-mail: yoshida-m@faculty.chiba-u.jp). 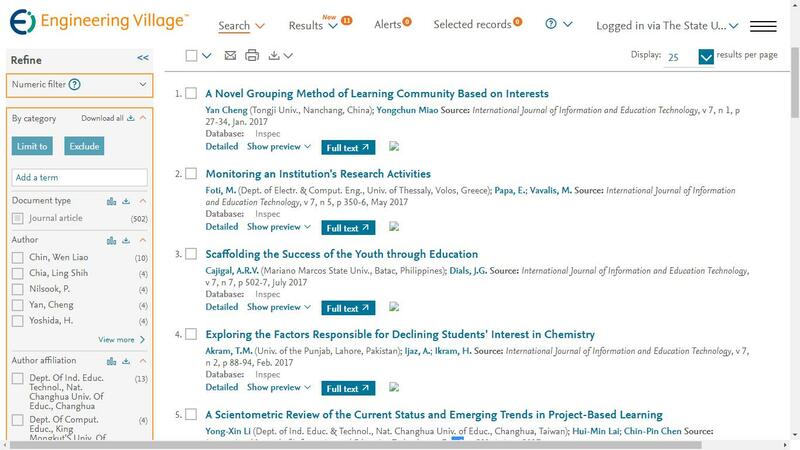 Cite: Masami Yoshida, "Study on Dissemination of Scholarly Papers with Open Source Options about Regional in-Service Courses," International Journal of Information and Education Technology vol. 6, no. 7, pp. 550-554, 2016.